This page will host more of the purely entertaining and interesting content of website. Calling this content scientifically enlightening might be a stretch, but regardless have some fun with this section. Do you know what the fox says? Check out this link to a music video which exploded into popularity around the time this website was created (Fall 2013). Equally strange and entertaining, this video had around 275 million views when originally linked to this site. Have you ever dreamed about having an exotic pet? Personally having a domesticated fox would mean the world to me. Fortunately enough for us, Dmitri K. Belyaev, a Russian scientist set out to find answers to the mystery of the domestication of wolves into our modern day dog companions. 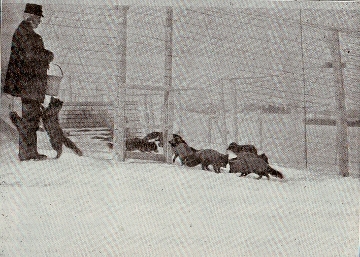 To do so, he used red foxes, now as a result of over 40 generations of foxes (perhaps much more now) the traits common to all domesticated animals are beginning to appear in these foxes. To read more on the full experiment follow this link to a blog from Scientific American. If you are less interested in the science, prepare to "aww" at this pet fox. Here is an ABC news report on the explanation of the study and what it takes to have a fox as a pet. Here is a video of a fox being captured bare handed. This video is included because it gives some insight to what a problem foxes are in Australia. Want to see a wild red fox eating a dog treat? "Cute Red Fox HD"
Here is the same wild fox eating a hotdog! 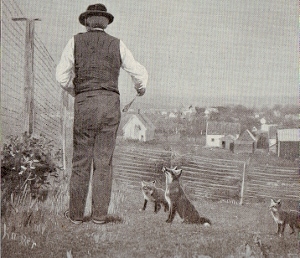 This time the fox is hand fed. (skip to 3:00) "The Fox & Hotdog"
Take a look at some of the References we used to make sure our information was credible! Go back to the scientific information on the Homepage!